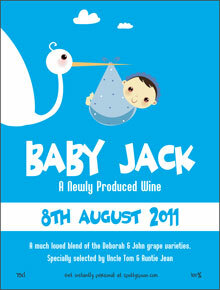 Looking for an unusual gift idea for a couple who have just had a new baby girl, then this is the perfect solution. 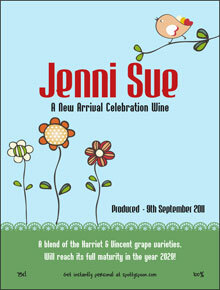 A personalised wine bottle label with the baby's name and date of birth and the parent's names. 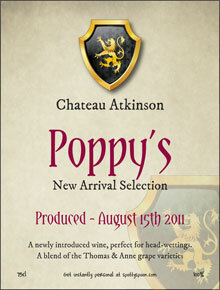 Note - good words that describe babies and wine are - new arrival, recently introduced, a perfect blend, much loved, long-awaited etc.